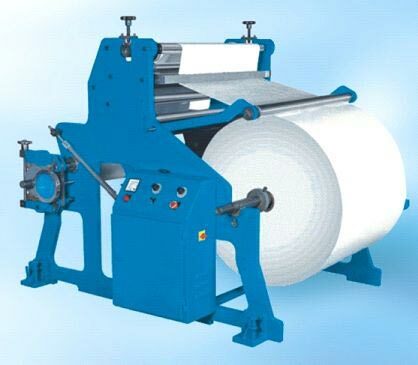 Reel Rewinder is widely for making big rolls out of the small roll-ends. Moreover, it is useful for making usable rolls out of damaged ones. Reel Rewinder is compact in size and consumes very less power. We are named among the renowned Suppliers and Exporters of Reel Rewinder. The model of Reel Rewinder that we offer is compatible with all web offset machines. It can be obtained from us at a very reasonable price. 5 HP – 1500 RPM.